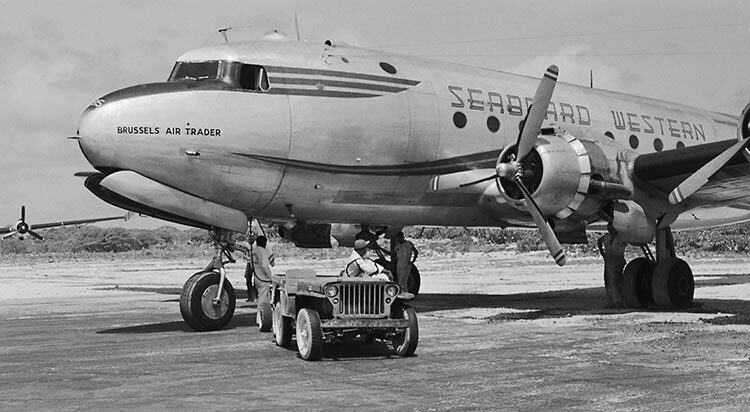 "Brussels Air Trader," N91085, on Wake Island in the 1950's. A color photo of this aircraft can be see here. This aircraft was previously named "Dutch Trader."